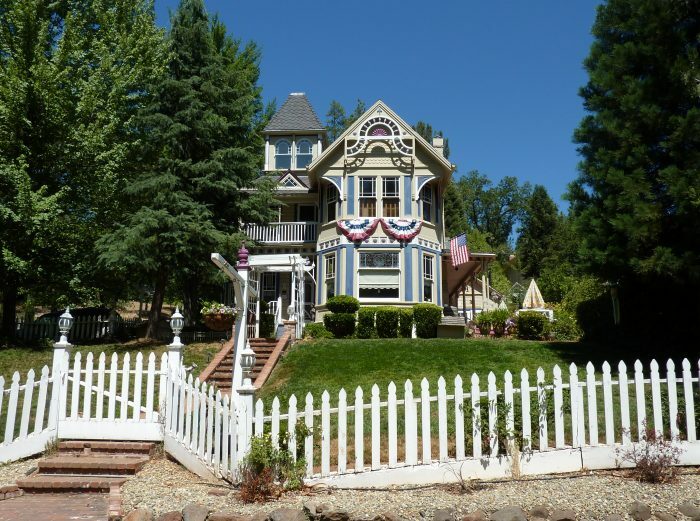 by Joanne Kraft -- There are just some towns that exude small-town charm. They’re usually surrounded by lots of trees and water of some kind. We have thousands of these kinds of places in Northern California. 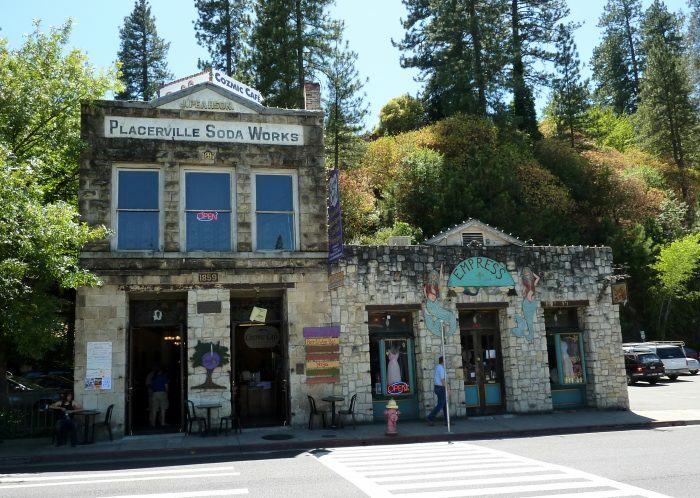 But, Placerville is definitely one of our favorites. Once known as “Hangtown” because of the unlawful pioneer lifestyle and the hangings that occurred here, it’s now an idyllic place to raise a family, and the natural beauty is one of its strong suits. 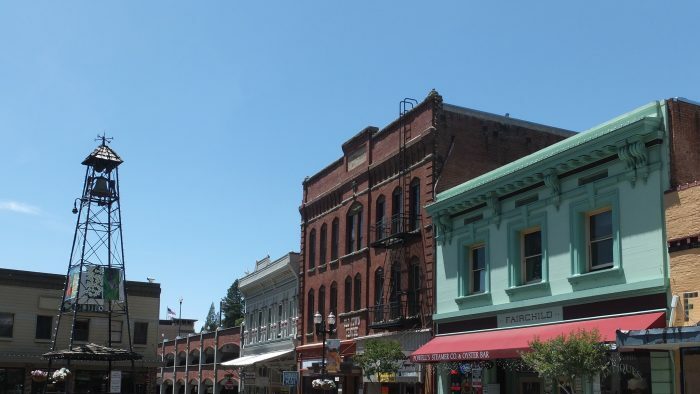 The snow-covered Sierra Nevadas are the backdrop for this gold rush town and whether you’re walking down Main Street or enjoying some delicious hometown cuisine, it doesn’t take long to discover the town Thomas Kincade grew up and painted in so much of his artwork. Breakfast MUST be eaten here. Dining in a hometown cottage makes sense -- and did I mention charming? Don't even think of missing this place. 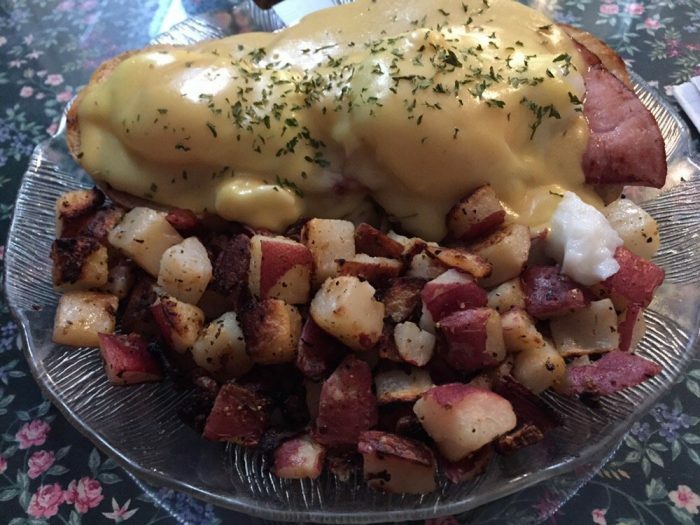 Eggs Benedict and country potatoes are amazing, but their whole grain pancakes and fluffy omelettes are so good and come with the best homemade biscuit around. I've traveled around the country and I have yet to find homemade biscuits, cinnamon rolls or pecan rolls that compare. I pledged my undying love to Sweetie Pies a long, long time ago. 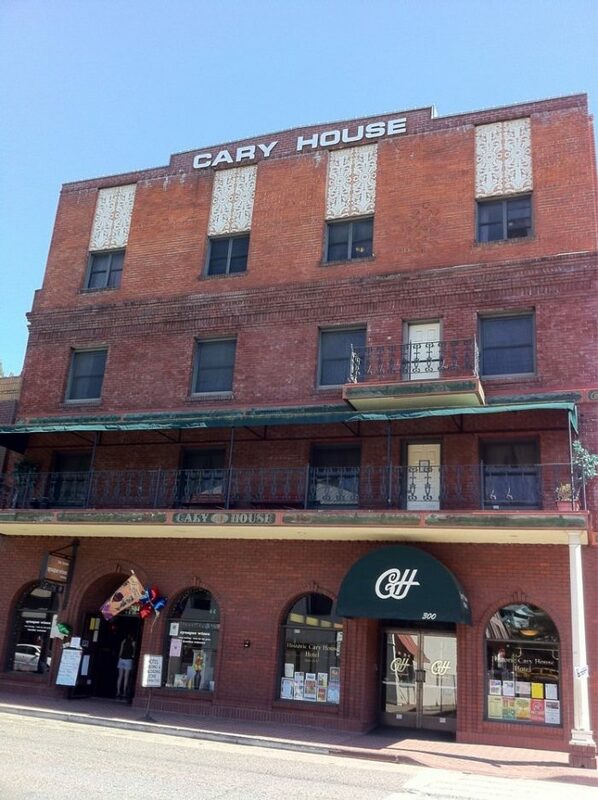 As you stroll down Main Street, make sure you step inside this brick building. Filled with gold rush artifacts now, it was originally built as a soda factory. In the soda factory days, water was pulled in from the outside and it stayed cool as the building butts up to a natural rock hill. It is on the national registry of historic places. 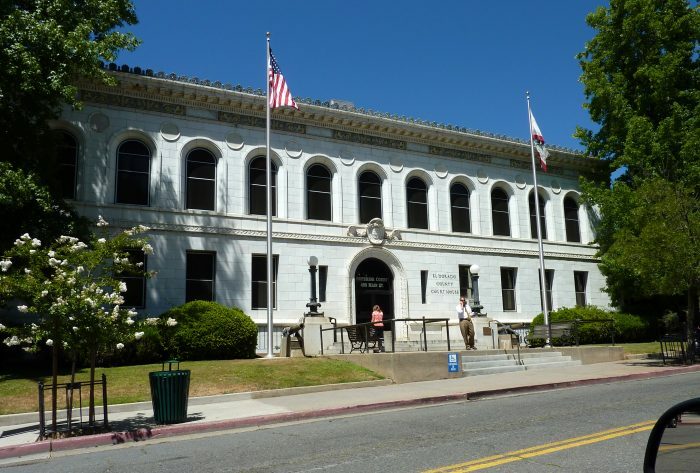 The building was once used as a PG&E office until 1961. History is important to people in these parts. The folks here are gracious and informative. Make your kids learn a little about history -- it won't kill them. Interested to know why our state was populated so quickly in the 1800s? It has a lot to do with this glittery gold rock here. People travelled from all over the country to strike it rich. Many did and many more did not. 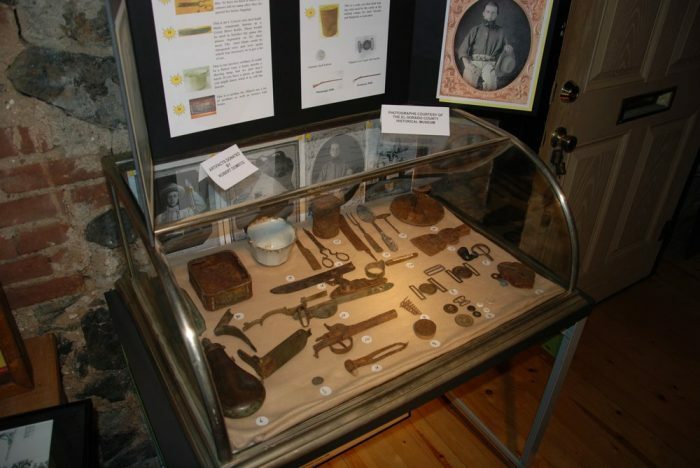 But, her history of gold remains alive and well in Placerville. 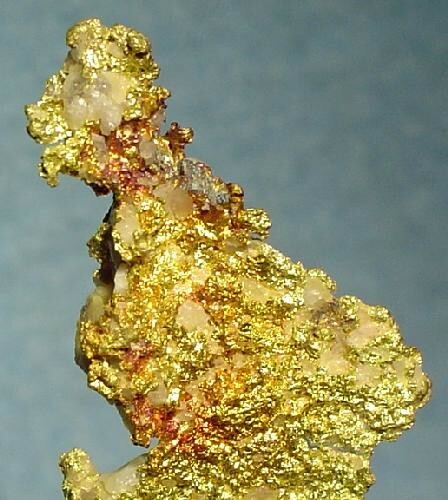 Ever wondered what it would be like to step inside a gold mine? Here's your chance. 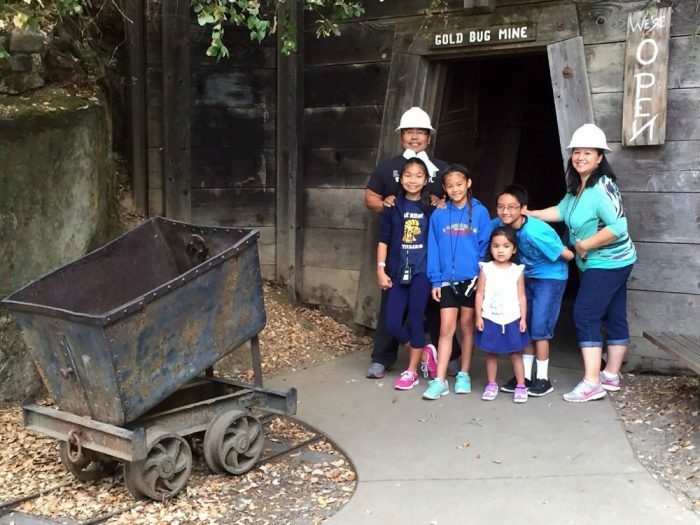 Enter the 352 foot drift of this hard rock mine and enjoy a self-guided tour with your family. There's a blacksmith shop and even the opportunity to pan for gold. This is the Combelleck - Blair house. 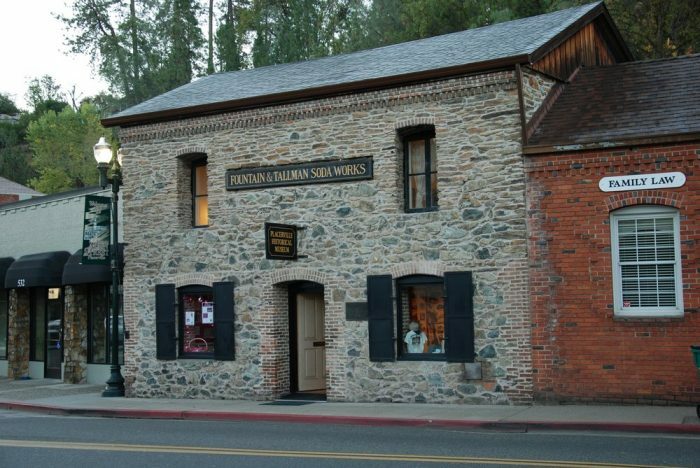 We're not sure what happened to the Blair family, but the Combellecks opened a store on Main Street and have descendants still in Placerville who practice law. It says a lot when generations love a town enough to stay for hundreds of years. History is all around you when walking down Main Street. This is the fire house and the very first courthouse. It's only steps away from the courthouse still in service today. 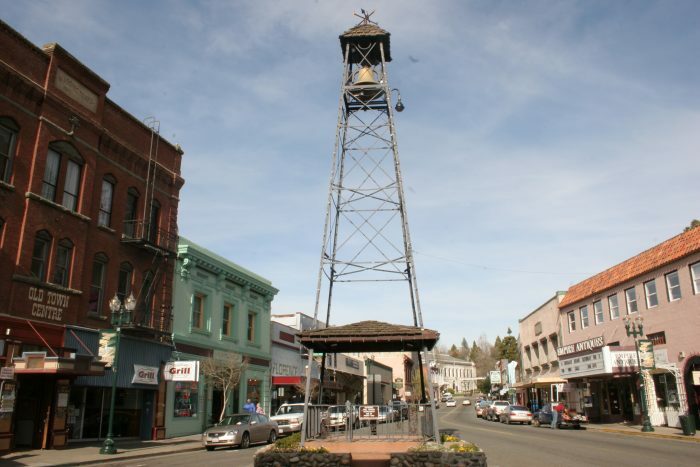 El Dorado County has grown in population BIG TIME. 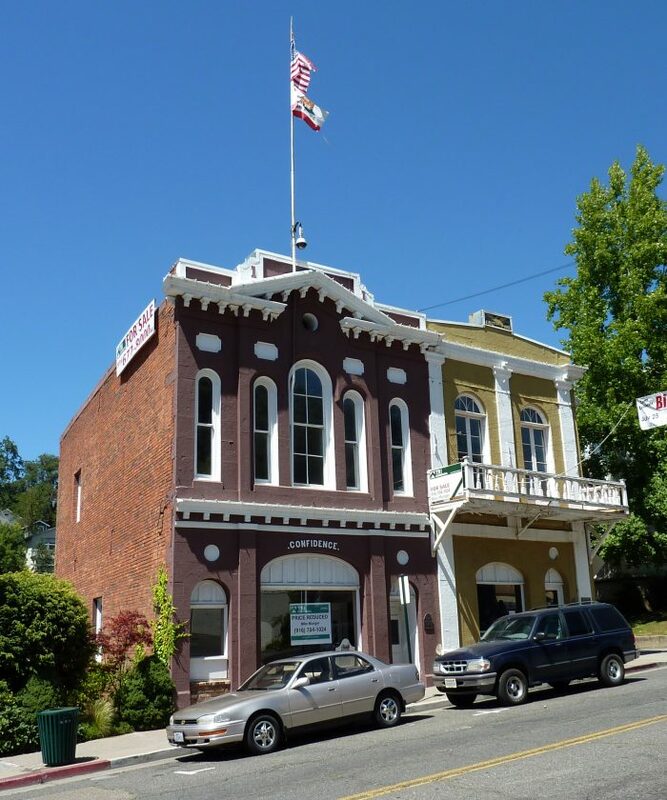 But their courthouse in Placerville is still hanging on to their hometown charm. Cases are heard here Mondays through Fridays. This is an historical building in its own right, but still functioning as strongly for democracy as it once did years ago. AKA The John Pearson Soda Works, this building was built by Scottish immigrant John McFarland Pearson built the lower portion of the building in 1859 to use as a commercial ice house. He built his business in front of an idle mine shaft so he could use the underground rooms and tunnels to store ice, which worked great because the walls of this section are 22 inches thick! Stop by and take a peek but make sure to grab a coffee or a soda. The kids will love it. Main Street is long and wide and filled with dozens of unique stores and boutiques. Not to mention lots of yummy cafes and baked goods just perfect for purchase while you stroll along. This old bell tower is loved in P-ville. The city's website said it best, "The BellTower on Historic Main Street is a unique sight. Not many towns can boast of such a structure in the middle of their town. It has its own history, and in its day served a most vital and important role. It was first called the Plaza. Cast in 1860, it arrived in Placerville in 1865 and the City gave approval to place it in a tower on the Plaza - at the cost of $380.00. First a 25 foot high wooden tower was built in 1878..." This belltower is still decorated for 4th of July and Christmas. Its watched the town grow and live beneath it --and we think that's pretty cool. Most homes in America have a piece of Kinkade artwork or calendar or memorabilia. 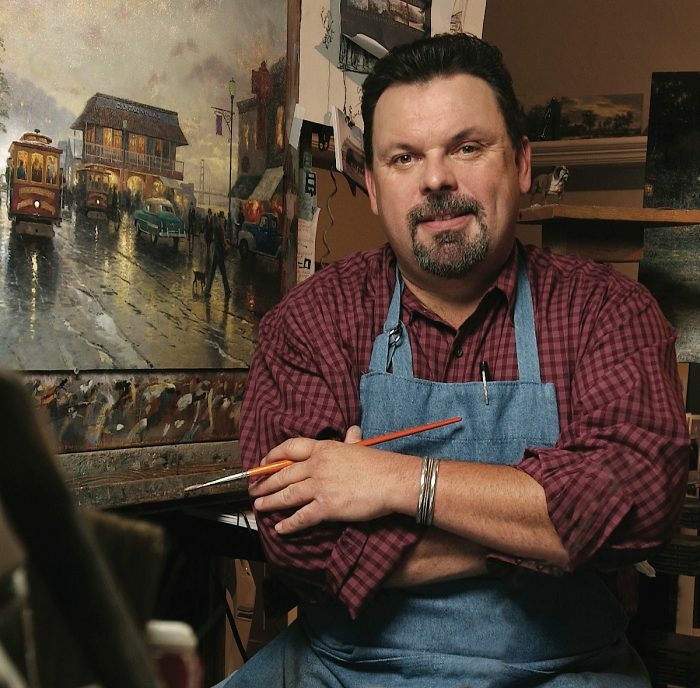 His work was like nothing we've ever seen -- the painter of light grew up in Placerville. When you look at his cottage pieces you can see Placerville. He met his wife Nanette when he was a paper boy here, a true-blue Northern California boy. We're proud he began doing what he loved best right here in our part of the world. P.S. Go to the El Dorado County Library to see one of his unique pieces -- his gift to the library of his childhood. 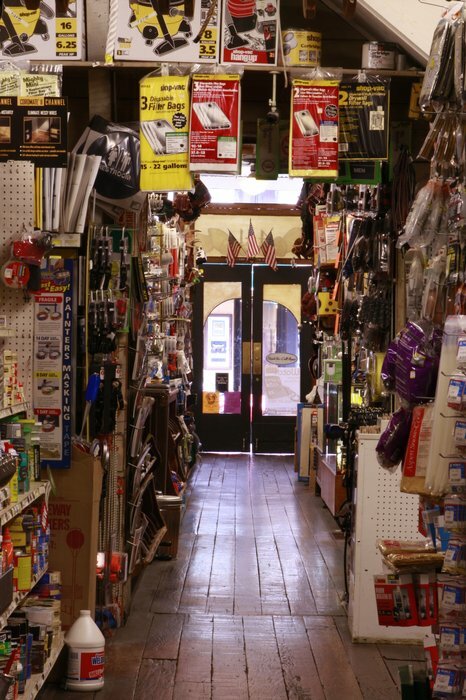 If you know a guy who LOVES a good old fashioned hardware store, this is where you MUST go. Filled with everything from nuts and bolts to kitchen gadgets and dishware. Unique items fill these shelves. And, history is all around. Just check out the wood plank floors made from Ponderosa Pine. It's an amazing place. 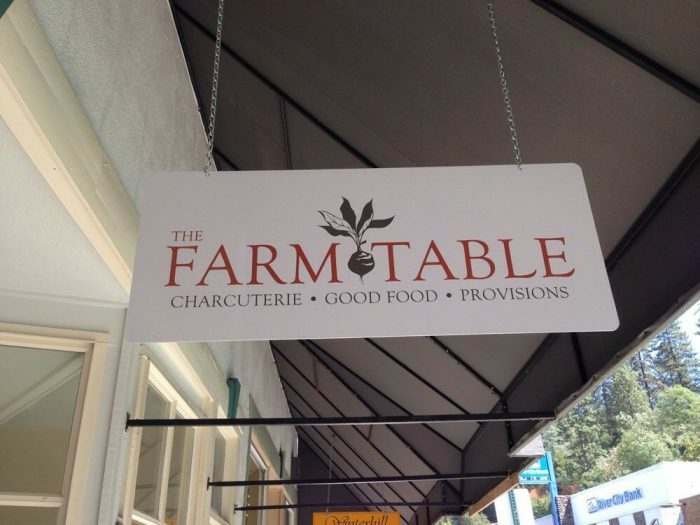 Don't think for a minute that this small town doesn't know how to make BIG TASTING farm to table food, because you'd be wrong. Enjoy food the way God intended here...healthy, whole and delicious. 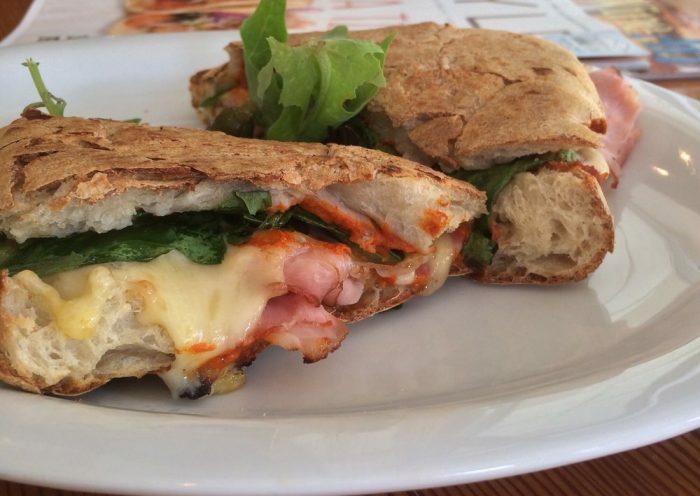 Even their grilled ham and cheese is a 5-star experience. Make sure to take home some packaged items to have your own buffet. Your friends will be impressed! Feel like staying overnight? Here's where you need to go. If it was good enough for Mark Twain it's good enough for you. Psssst...some say it's haunted. In case that creeps you out. Here's the thing. 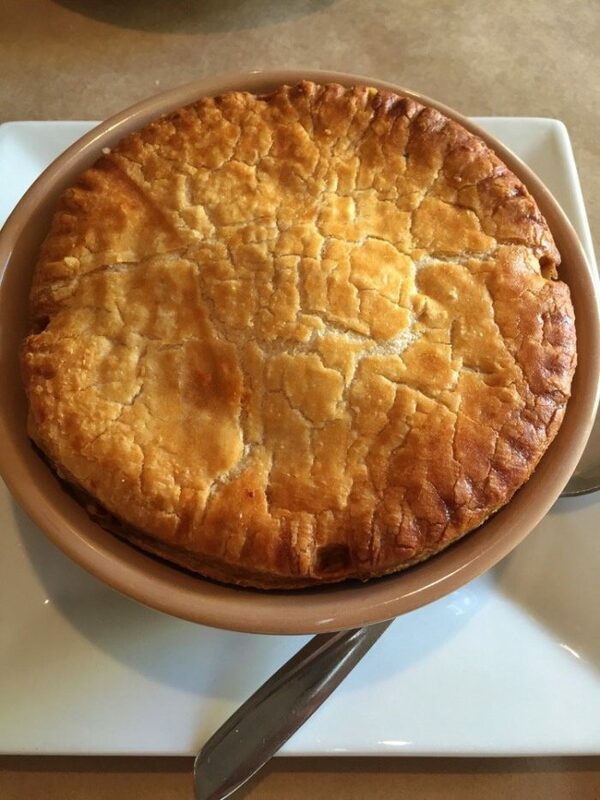 I LOVE pot pie. 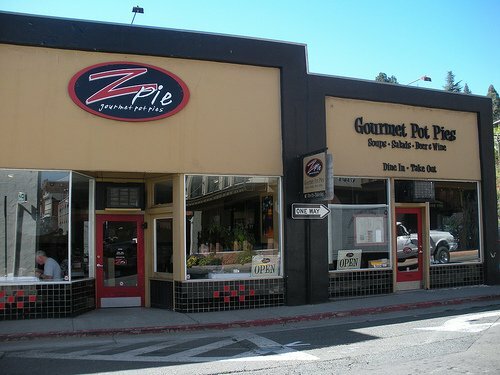 Which means I eat here for lunch or dinner EVERY single time I'm in P-ville (that's what we locals call Placerville). If you love a savory pie then you'll devour this chicken and mushroom with delicate and flaky butter crust. 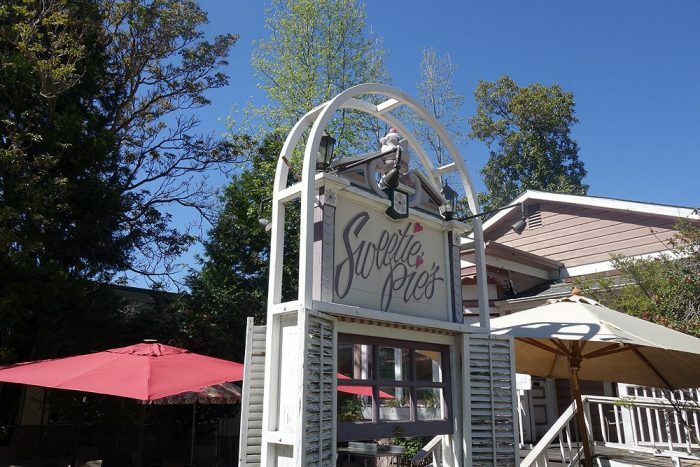 For those who like their pies sweet, enjoy their berry pie with a scoop of ice cream or their caramel apple with caramel drizzled on top. Don't have time to dine in? No problem. Grab a few on your way up to Tahoe, or have them ship you a few. There are just some towns that stick with you. Placerville is one of those places for me. It’s perfect for a day trip but has huge potential to stay for much longer. Don’t forget, Lake Tahoe is just an hour up the road. Grab your honey and get out here for a visit. Tell them Joanne sent you!